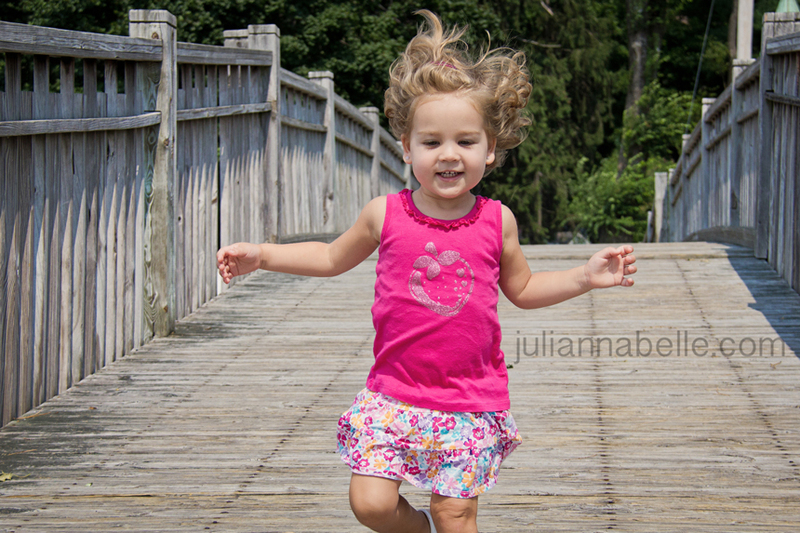 My mother and I took Julianna to one of our local lakes recently - Lake Mohawk. It was a nice morning to walk and take pictures and let Julianna run run run! I posted a couple of these already in my "Best of summer" post but wanted to put some more out there for you. 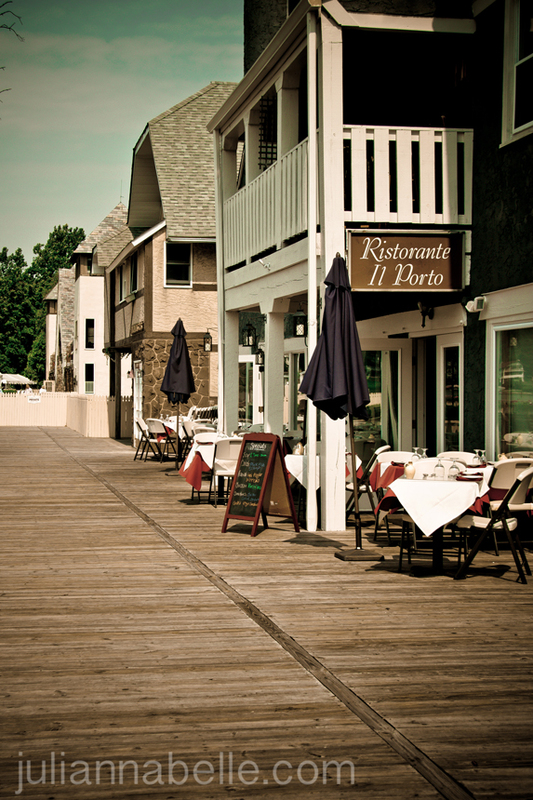 Lake Mohawk is about 15 minutes from my house and has a nice town center, small boardwalk with a few restaurants along with a nice playground. It' a cute place to go walk around for a couple hours or get some icecream or a bite to eat. 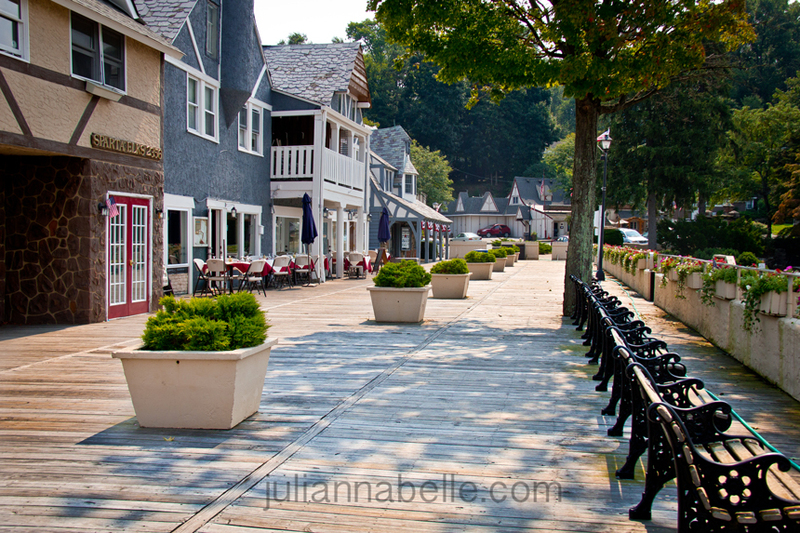 This is the boardwalk - it's not a boardwalk like we have down the shore, it's just a nice area to walk around and see the sites. This was a lucky shot - I love the hair up in the air from her running so fast - I was looking at the pics after I pulled them from my memory card, and I was thinking, "Ooooh bonus!" 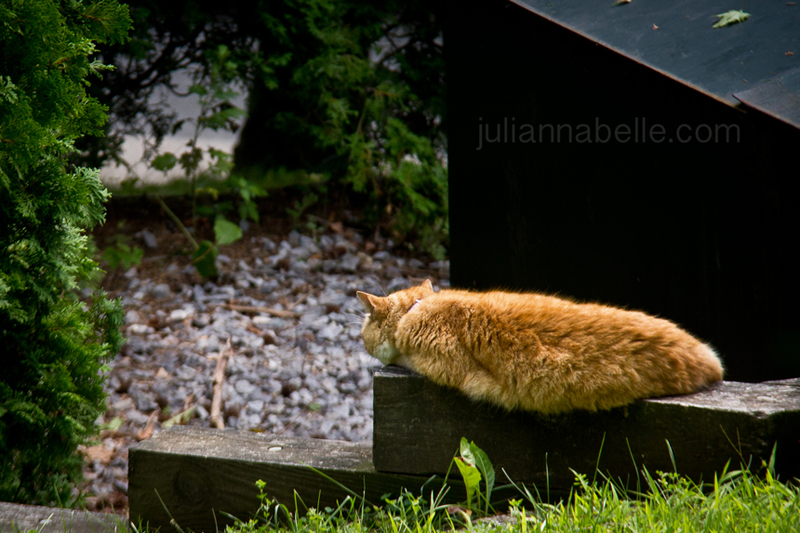 I spotted this big fat fuzzy orange kitty taking a snooze by one of the restaurant's dumpsters. He looks like he's been well fed. I love the buildings here - very colorful and they all have German or Dutch influence. Many of the houses in town have this same look too. and she is beautiful your baby girl! The hubby and I are in desperate need of a date night! I'm thinkin' Italian food sounds good too :o) I'm in love with that action shot of her running! How fabulous! Love the hair all blown back! Her ringlet curls are seriously too cute! It's amazing how curly her hair is! Just gorgeous! Your photography is amazing. 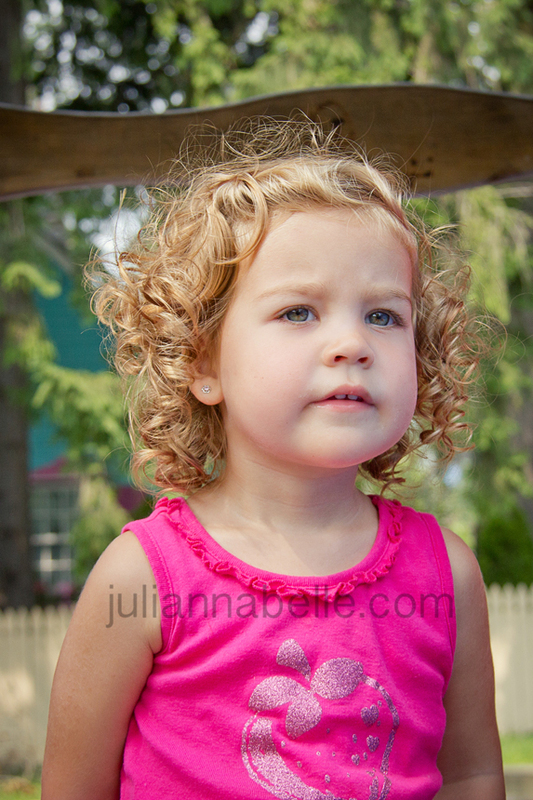 And Julianna's curls are to die for!! !